Sonny’s is a funky, historical but cool restaurant that has a large bar with two overstuffed couches near the entrance and provides a steady buzz that fills the high-ceilinged rooms overlooking Exchange Street. 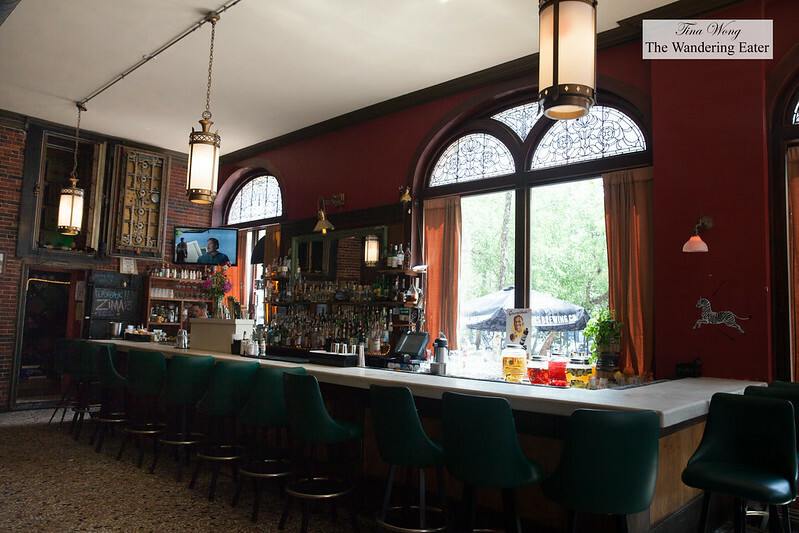 The ornate, tiled floors and the enormous safe in the back of the restaurant recalls the building’s 19th-century origins as the Portland Savings Bank and the stained-glass windows left over from its incarnation as F. Parker Reidy’s. 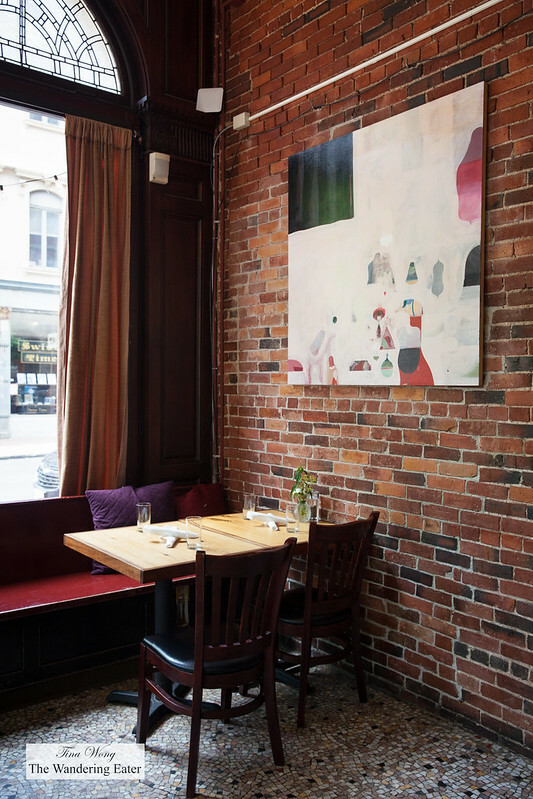 When you read the brunch menu of Sonny’s, the menu is varied but mainly sticks with the idea of American comfort food with a Latin influence. We started off with drinks. 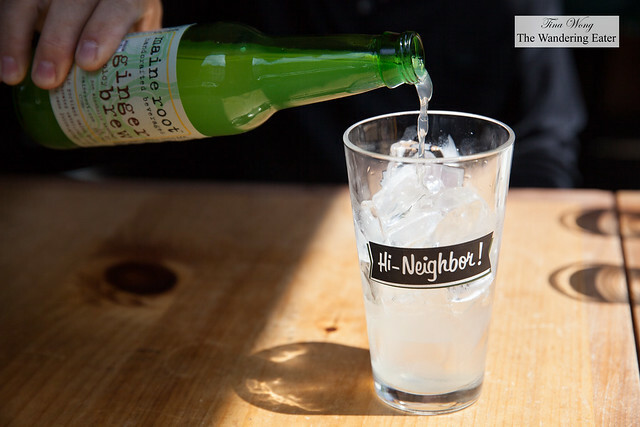 My friends had a ginger beer from Maine Root and Allagash White beer (a Portland-based brewery’s interpretation of a Belgian wheat beer and it’s refreshing and great for summertime drinking) and I had their milk punch of the day. The milk punch was what I was craving since I know how the two-day process takes to make this type of milk punch. 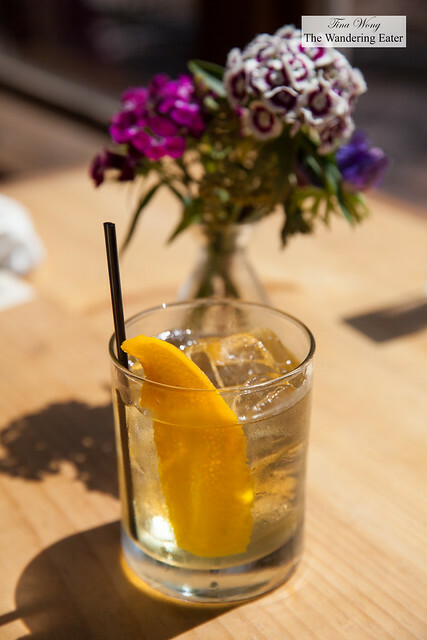 In my crystal clear cocktail, it’s a mixture of whiskey, sherry, lemon, orange juice, maple, black tea, persimmon, ginger, and arbol. 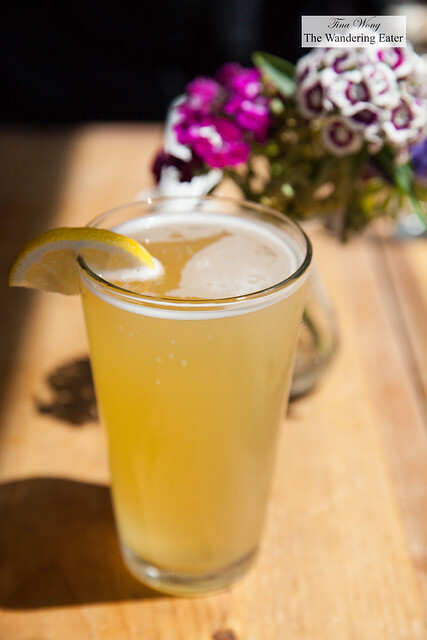 While you can’t see the various liquids, it’s a very complex and wonderful drink. We started off with sharing the Mexican concha bred with a side of maple coffee butter. 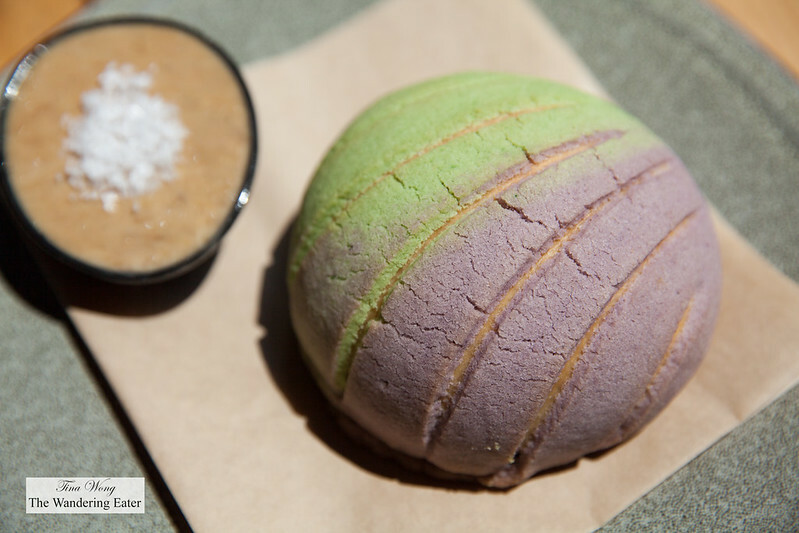 The concha bread is a Mexican sweet bread that is somewhat similar to the Chinese pineapple bun. The concha was delicious (fluffy crumb, dense cookie-like topping) and was served warm and with a smear of the maple coffee butter, it adds a bit more richer and a tiny bit sweeter. 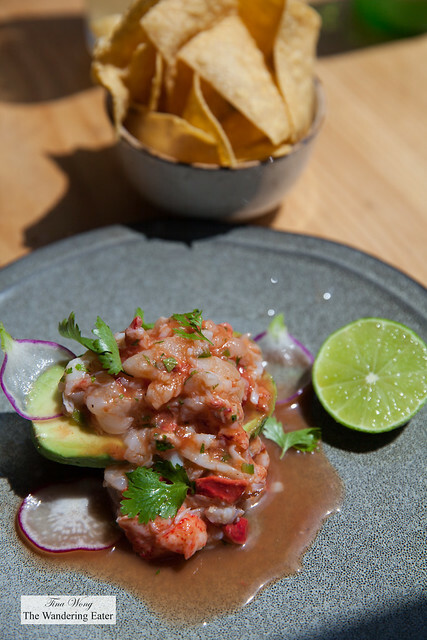 The lobster stuffed avocado with tomato, horseradish, jalapeno, and cilantro served with a side of tortilla chips is something I would wish to have once a week for lunch. Just substitute the chips for toast and I’m set. The generous amount of firm, sweet Maine lobster with the kick of spice and acidity from the lime is great. 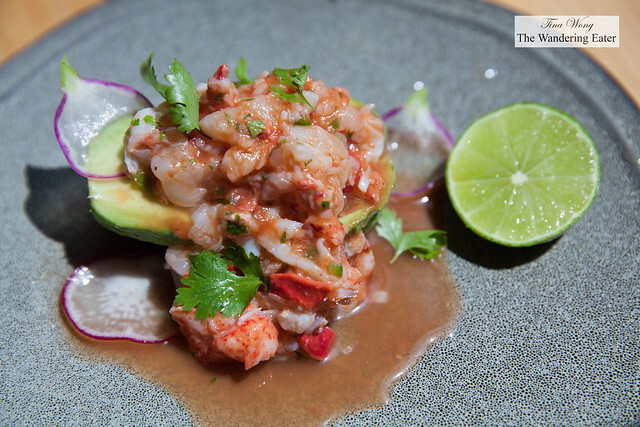 The avocado just adds enough vegetal sweetness and creaminess. 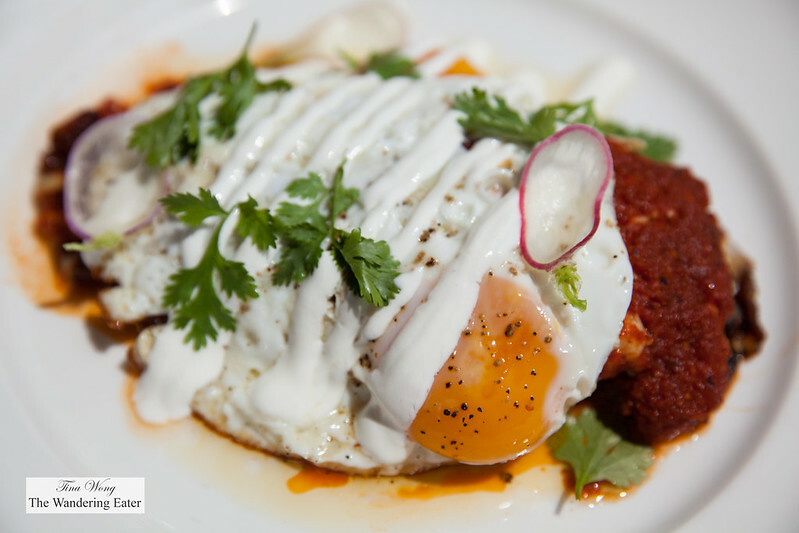 The chile relleno with pork belly, queso blanco, salsa roja, crema and topped with sunny side eggs was a very hearty and flavorful dish. The pork belly was found under the heaping pile of eggs, cheese and pepper. 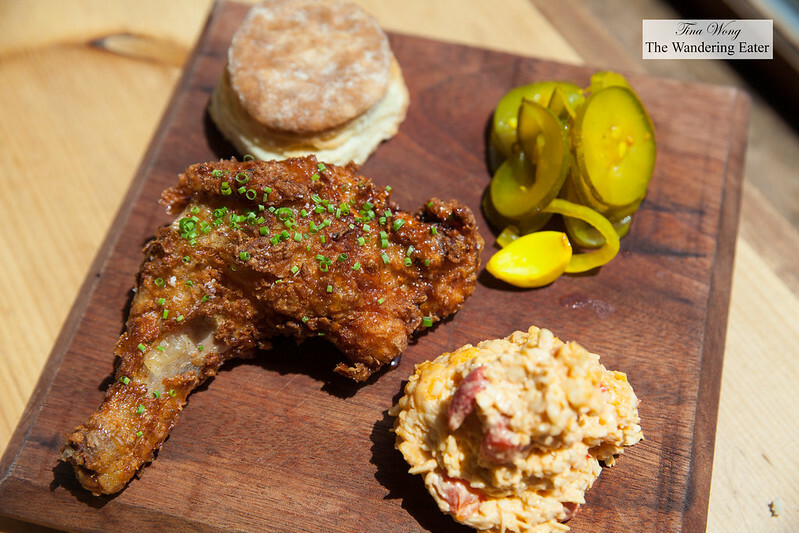 The masa fried chicken glazed with habanero honey, pimento cheese, homemade biscuit, and bread & butter pickles is a slight influence of Mexican cuisine with the classic Southern fare of fried chicken and biscuits. The masa added a crunchier texture to the fried chicken. The biscuit was warm, buttery and flaky and even tastier when smothered with the pimento cheese. The pickles were a nice foil to the components of the dish. 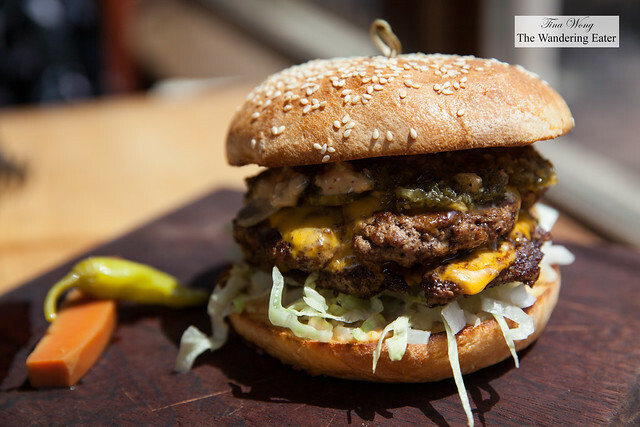 The double cheeseburger with poblano relish, American cheese, lettuce and onion is a very good dish if you are getting a hangover or preventing yourself from one. It’s a substantial burger that’s pretty delicious and it’s great with beer. The poblano relish adds a little bit of spice and smokiness. Overall, brunch at Sonny’s was very good. I really like the wide spectrum of cocktails, beers and beverages. The service is very friendly and our waiter know his beverages.